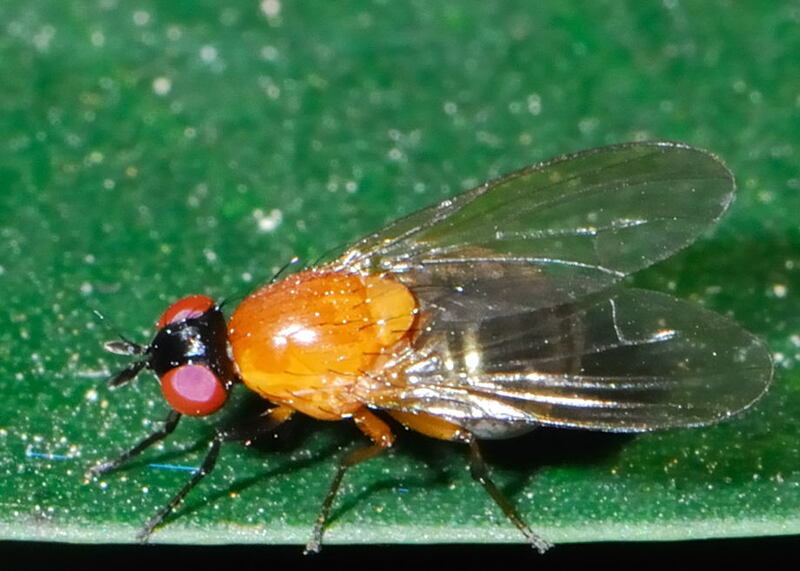 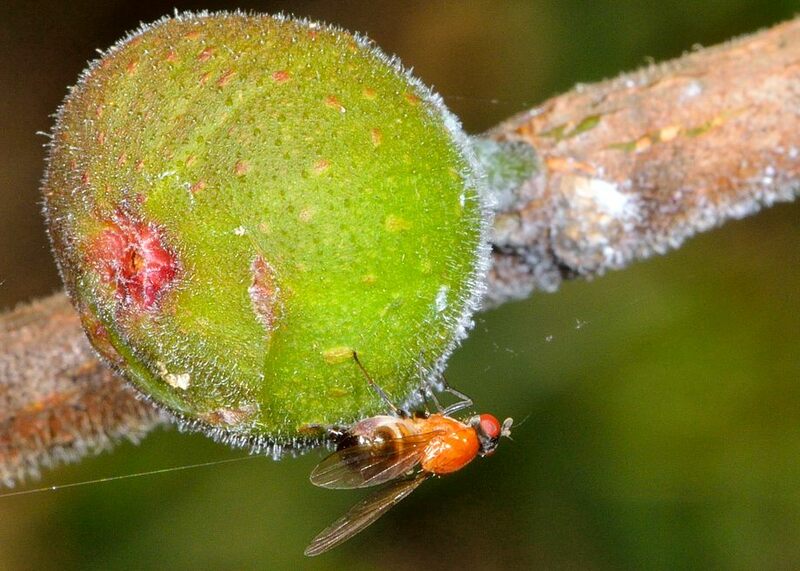 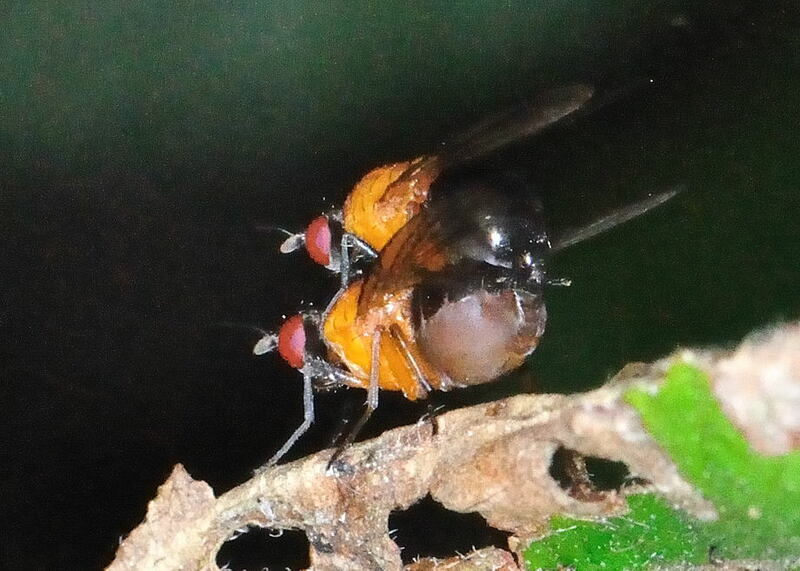 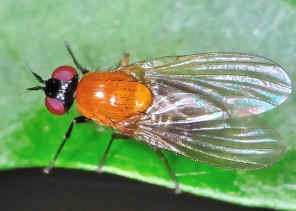 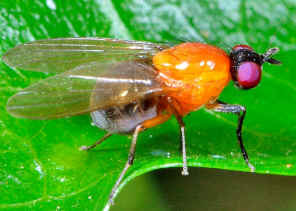 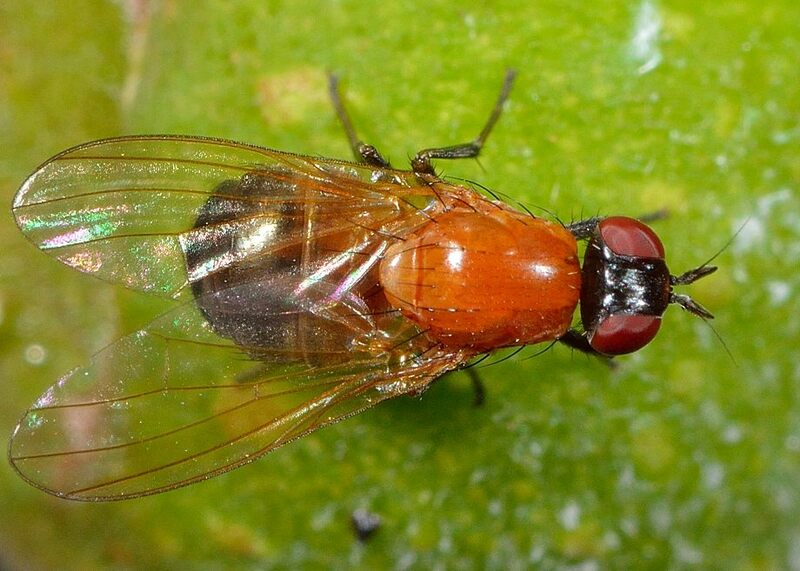 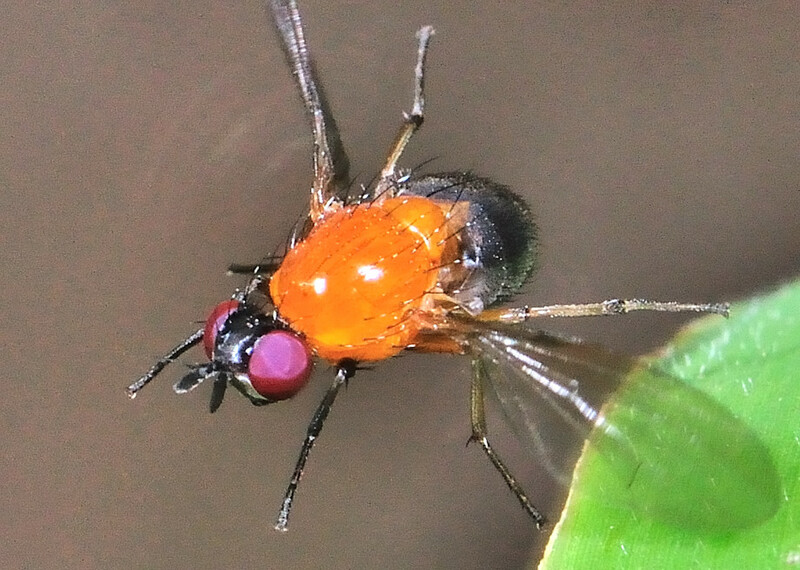 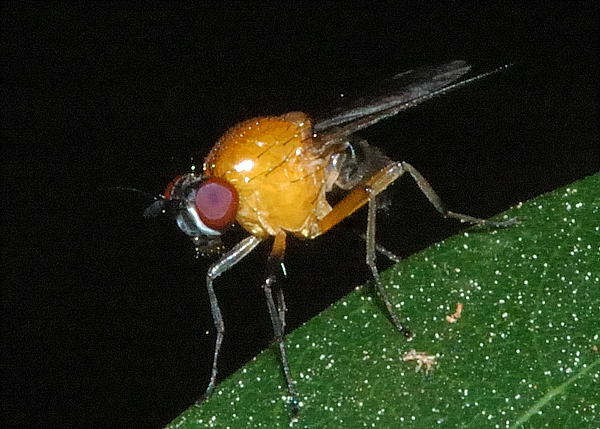 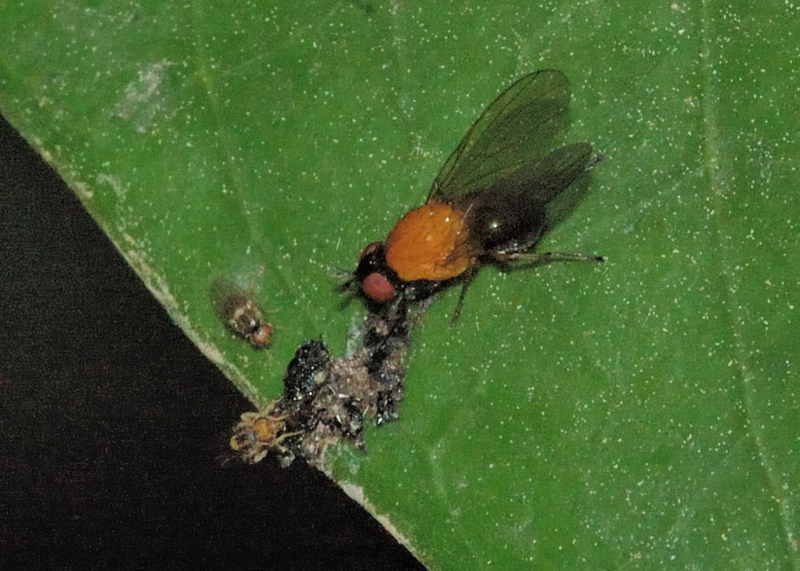 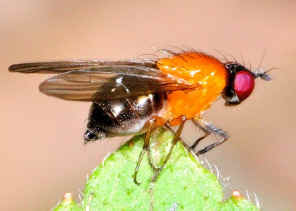 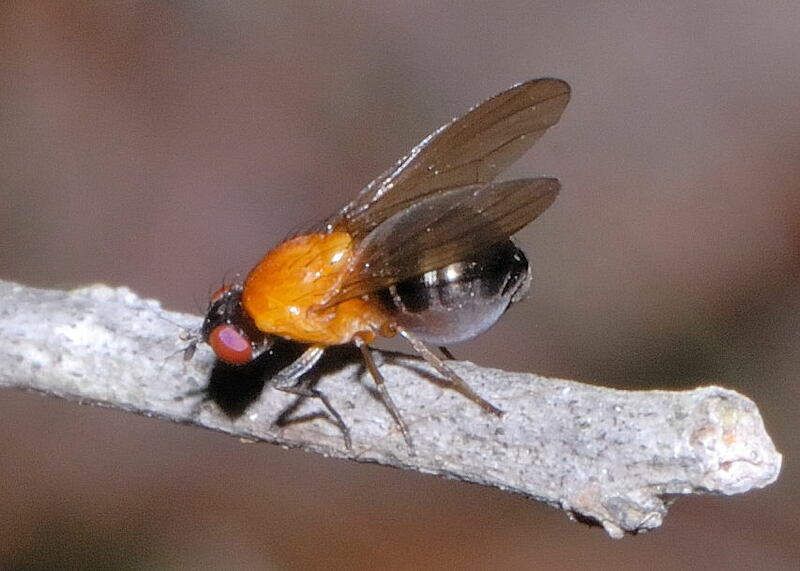 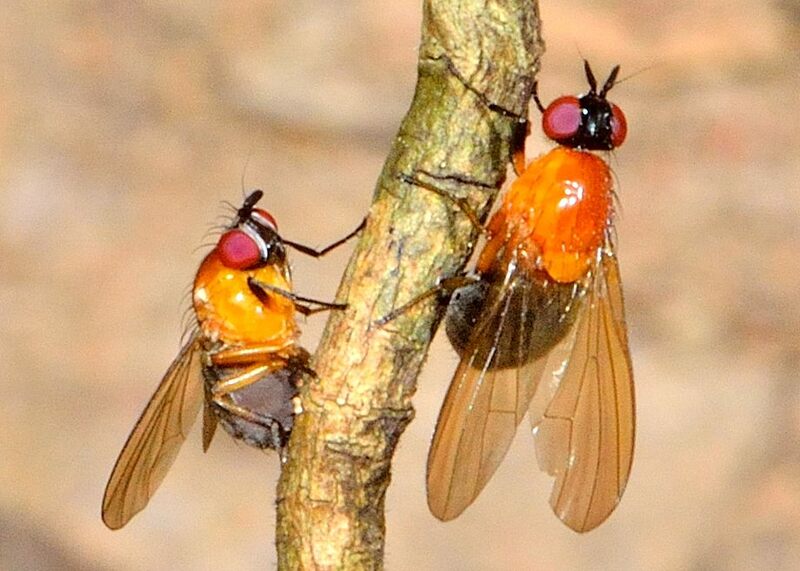 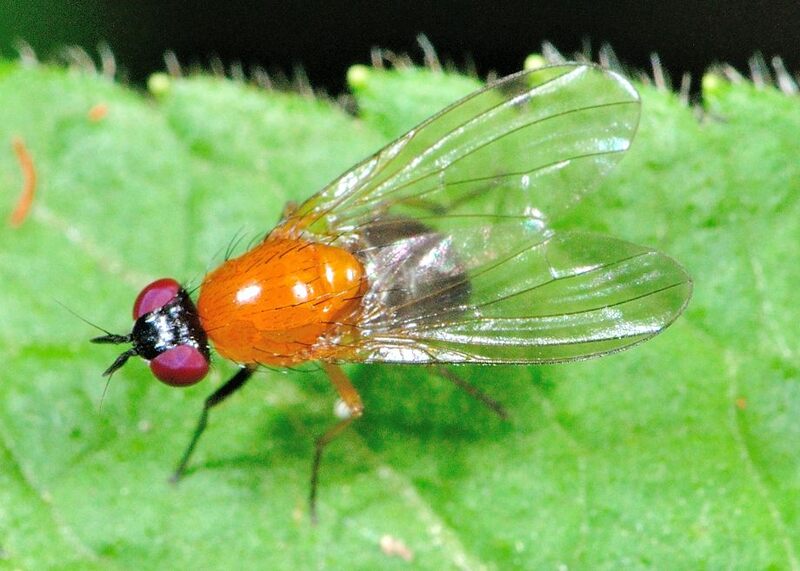 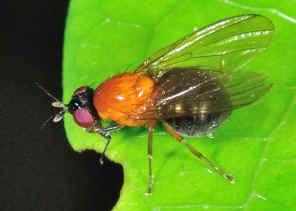 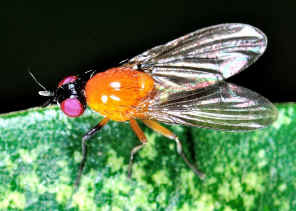 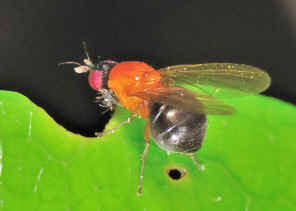 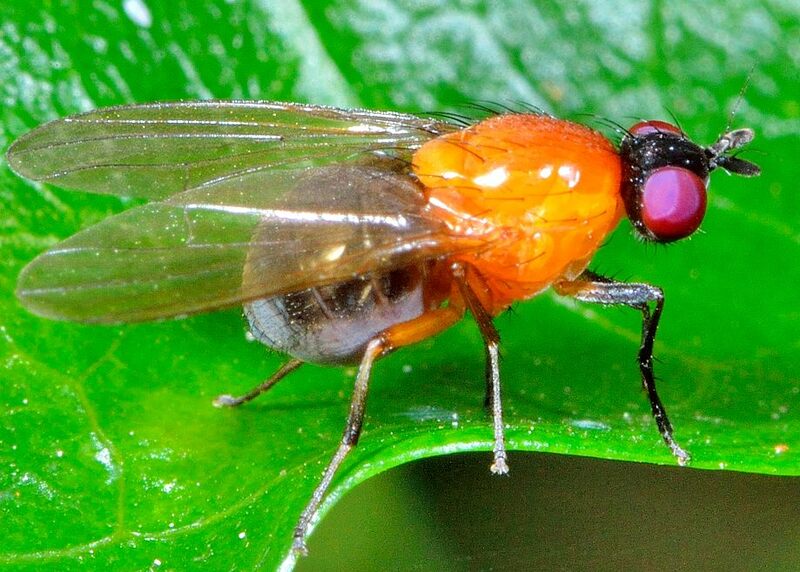 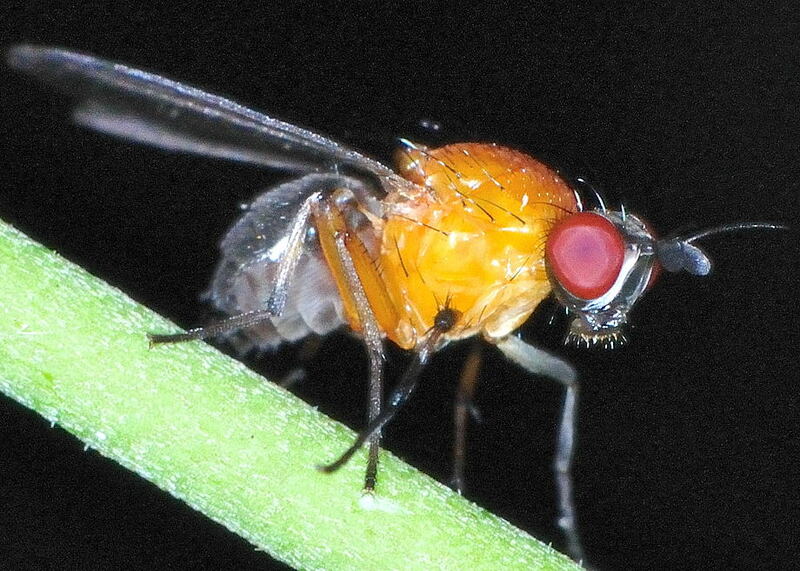 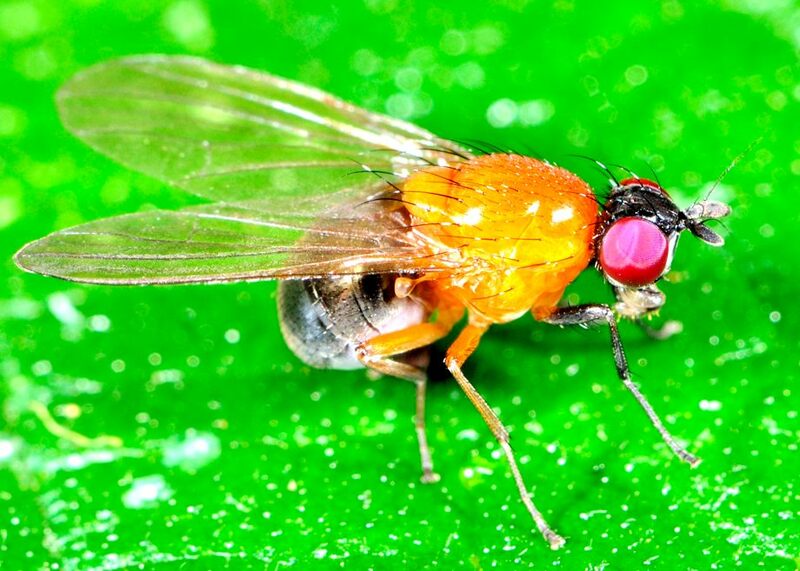 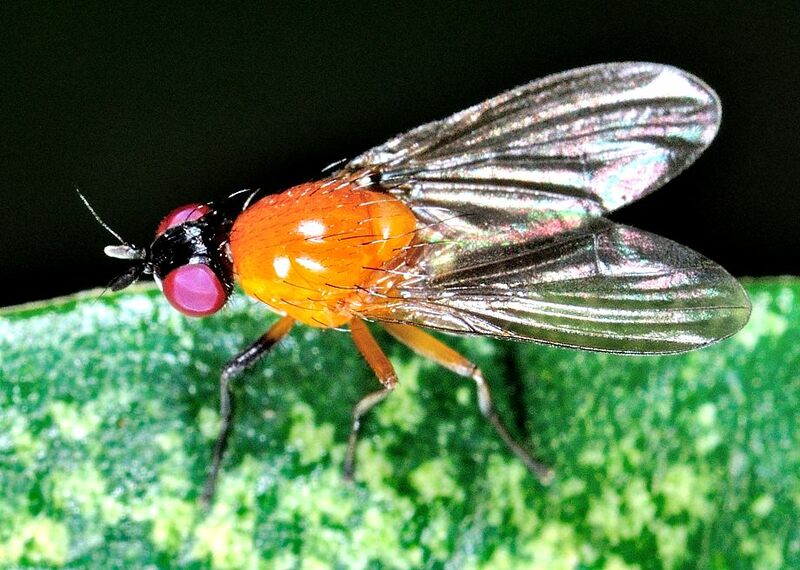 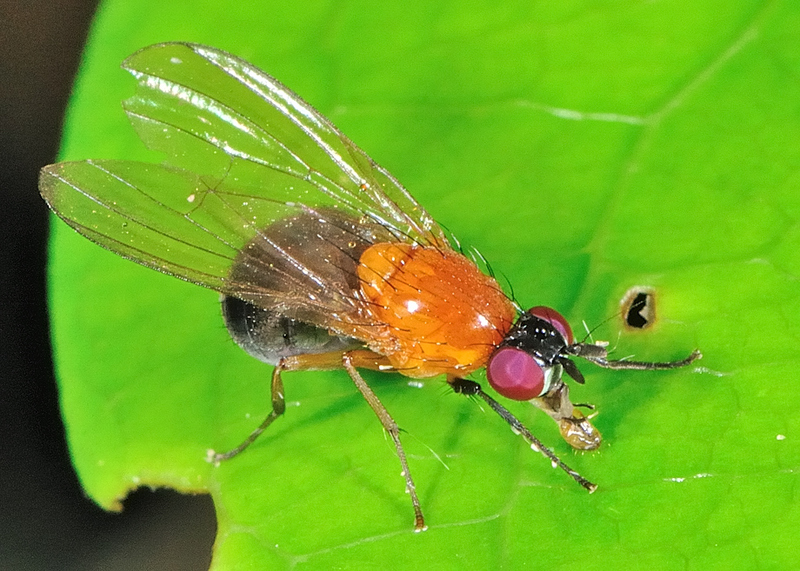 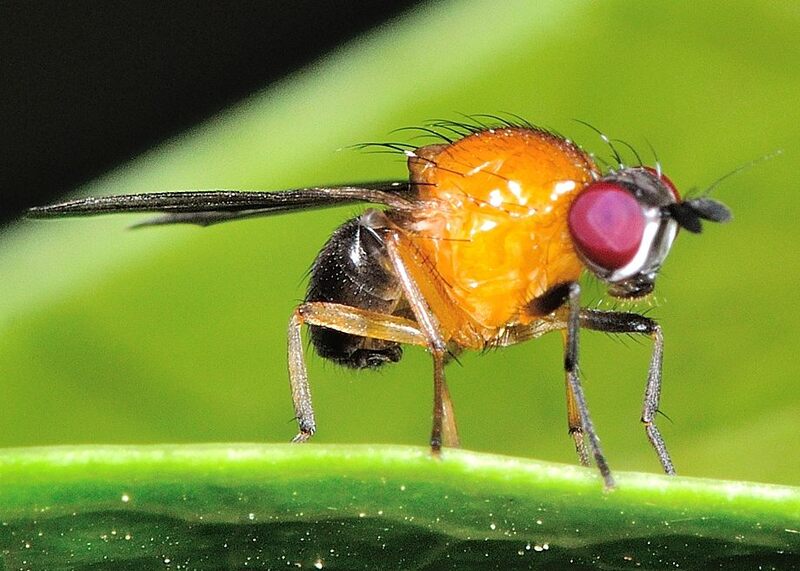 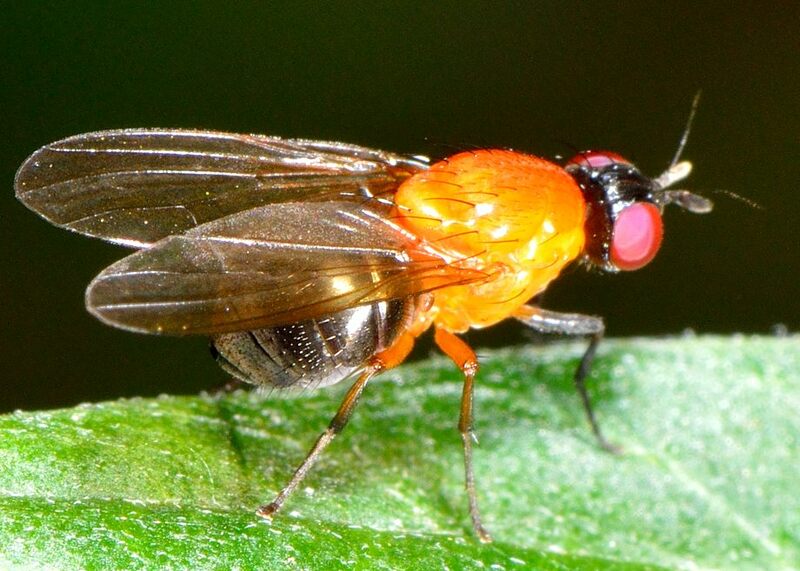 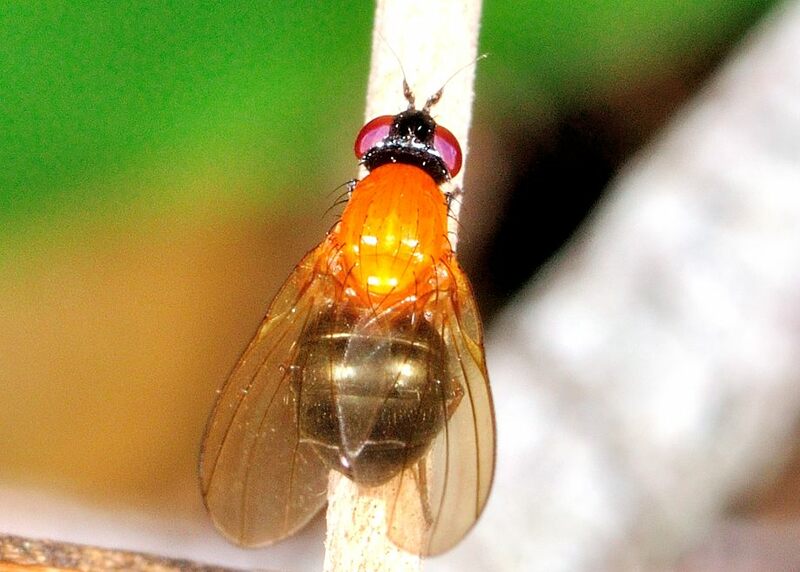 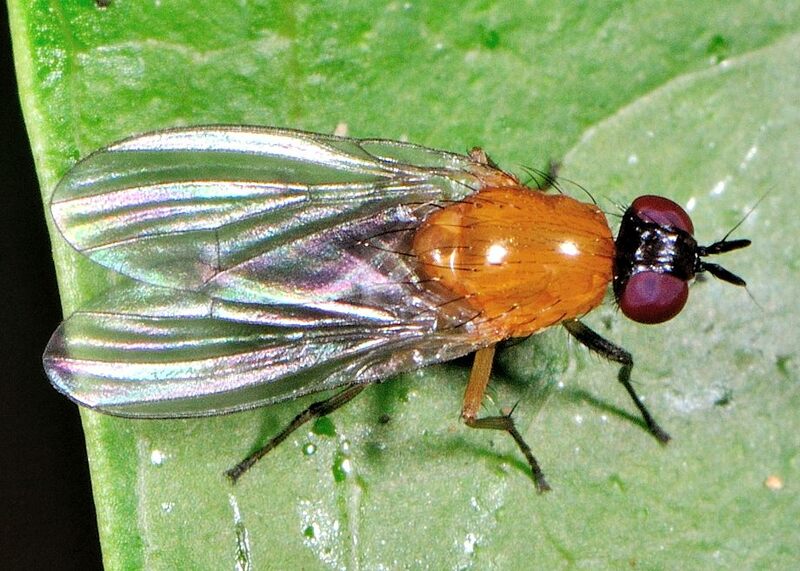 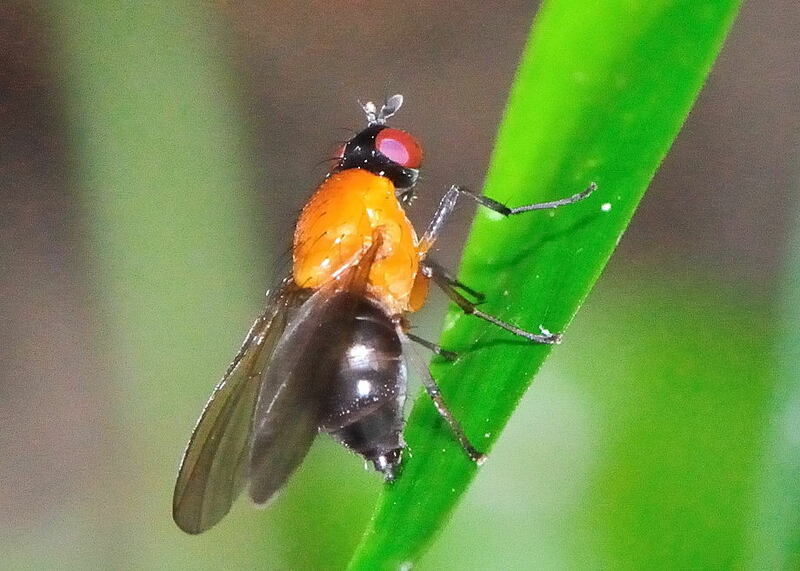 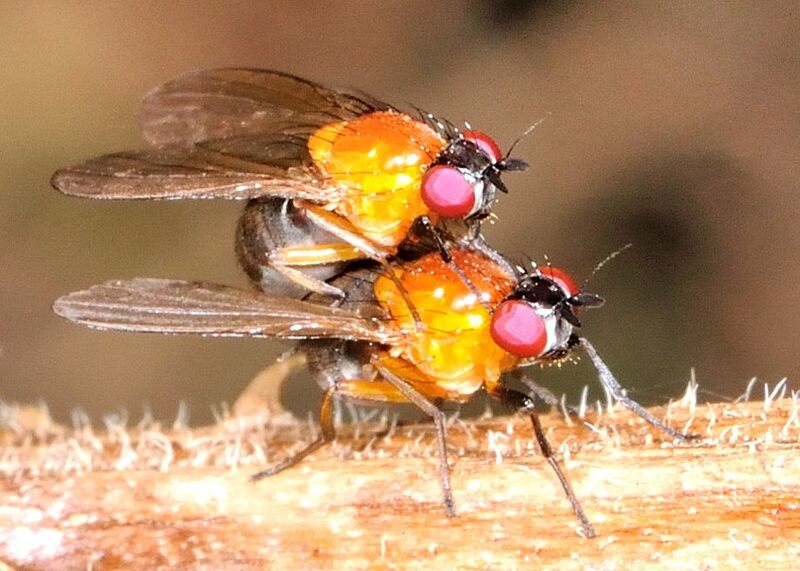 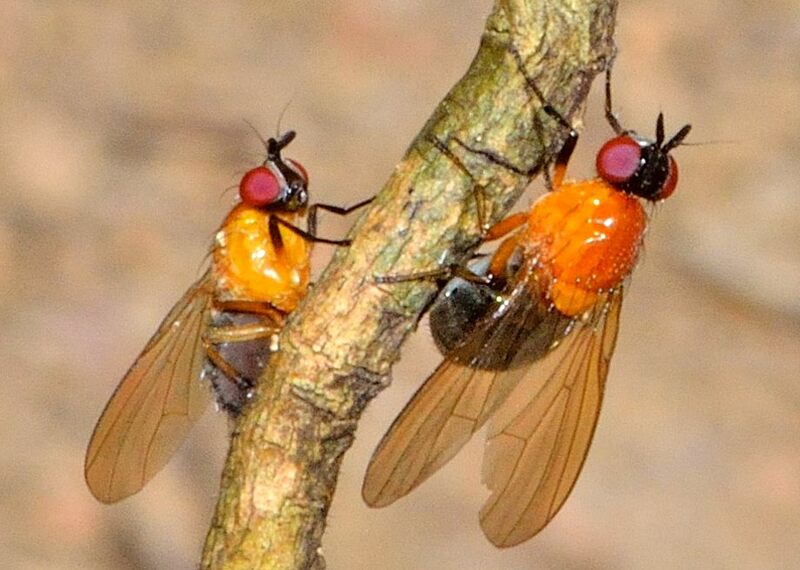 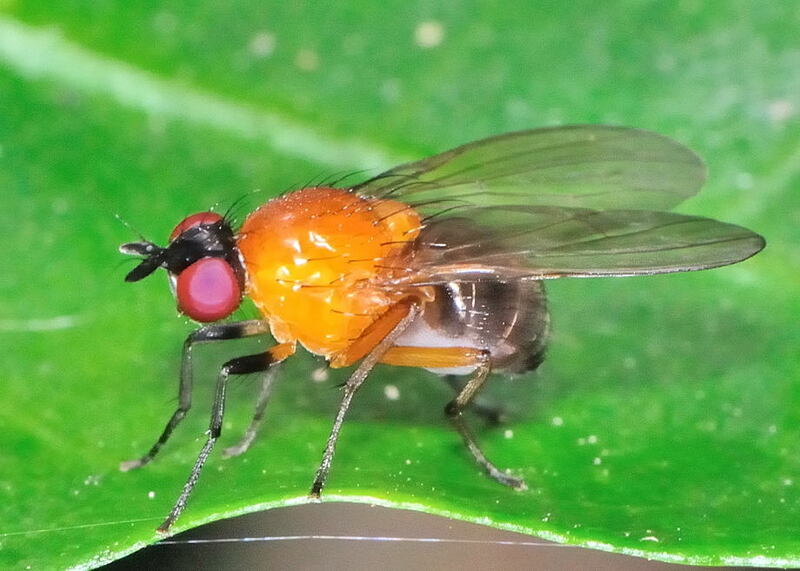 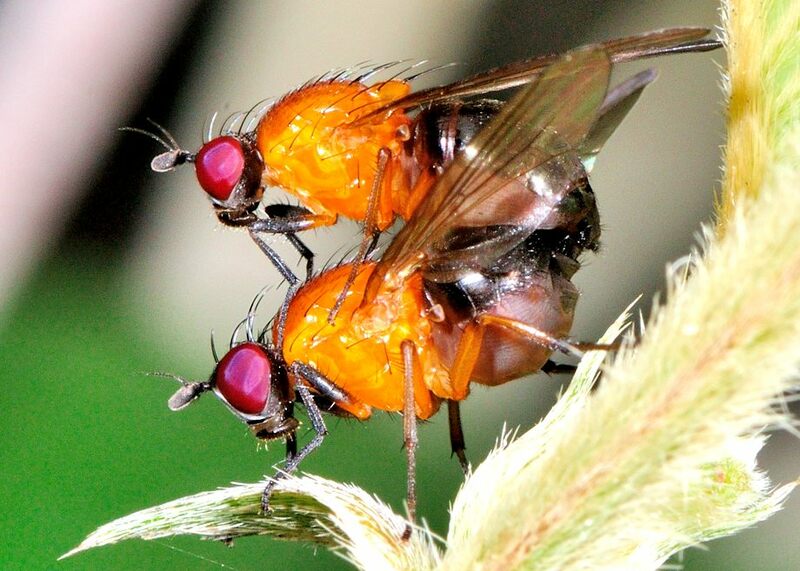 This page contains pictures and information about Orange and Black Vinegar Flies that we found in the Brisbane area, Queensland, Australia. 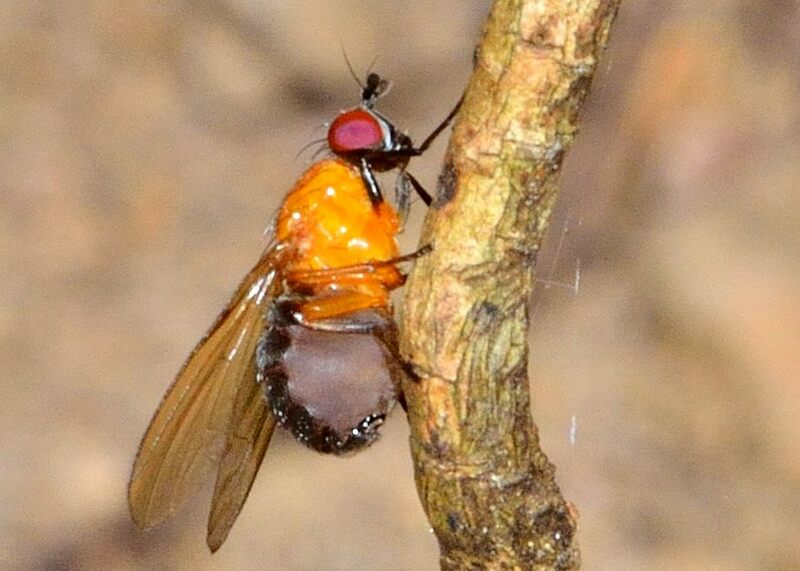 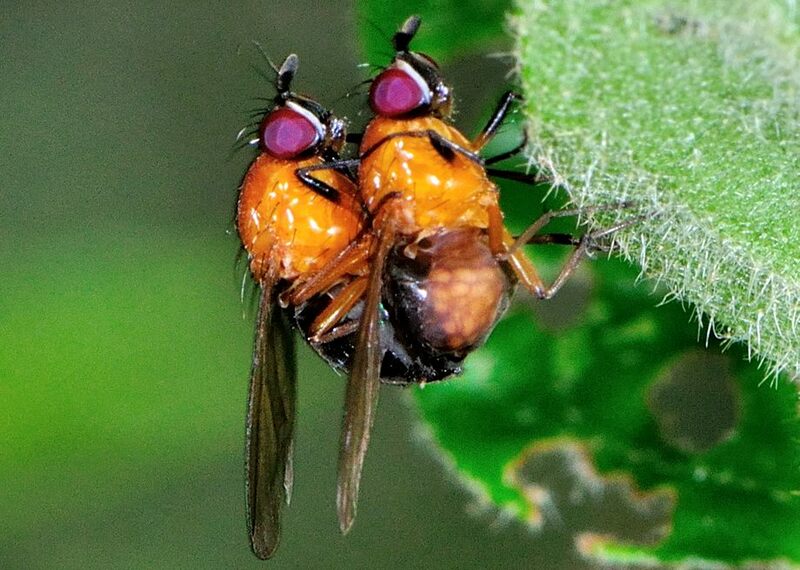 This fly is easily found in the dense forest in Yugarapul Park. Its head is dark blue in colour, face is white with a pair of dark red eyes. 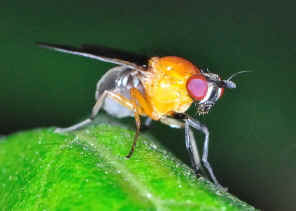 Its antenna are also dark blue. It has a orange thorax and dark blue abdomen. 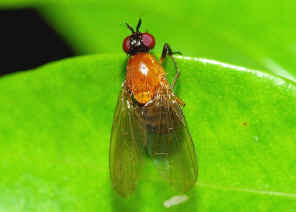 Its wings are clean or slightly yellowish-brown. 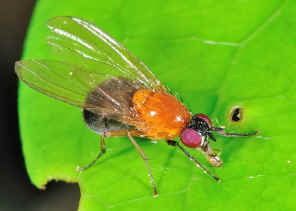 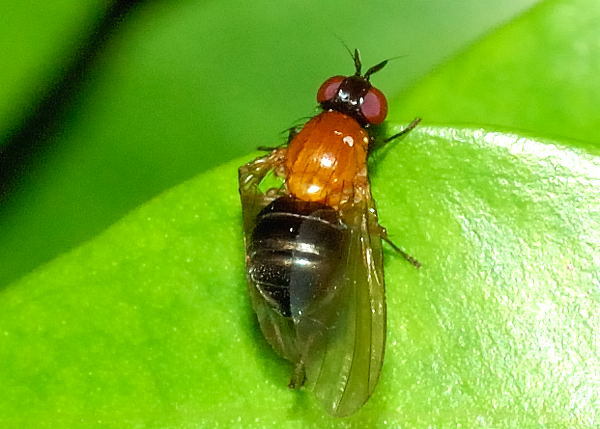 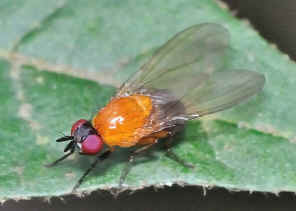 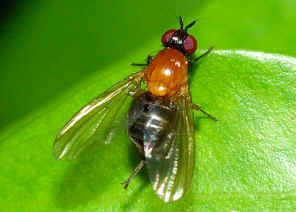 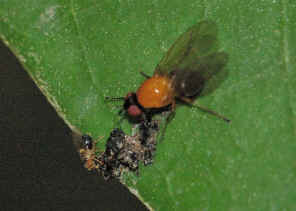 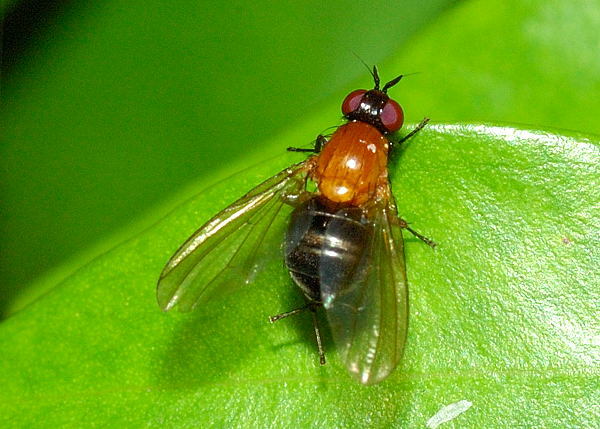 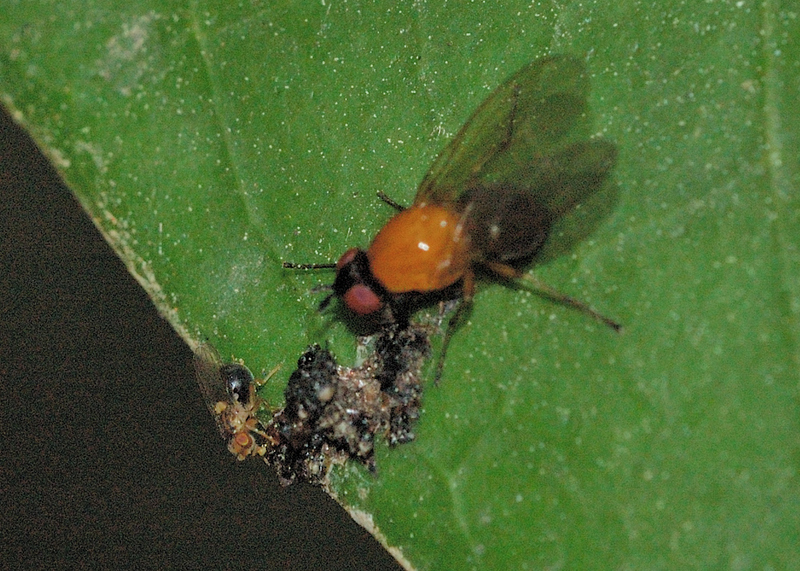 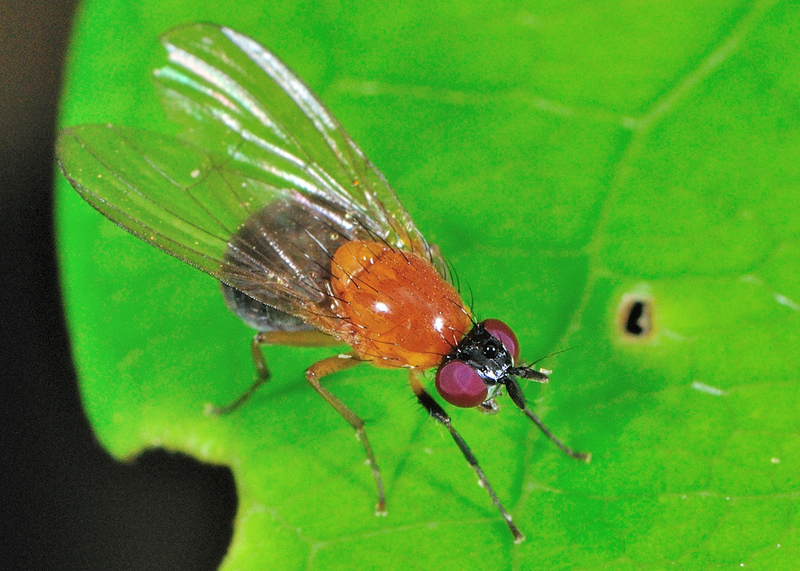 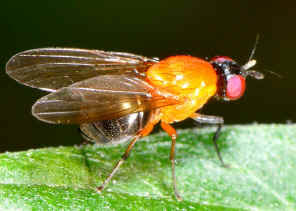 The fly is usually found resting on leaves about a meter about ground. 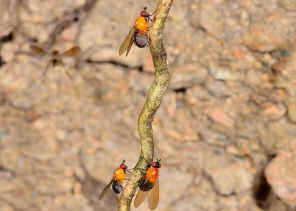 Their larvae are believe living among fallen leaves and feeding on rotting plant materials and fungi. 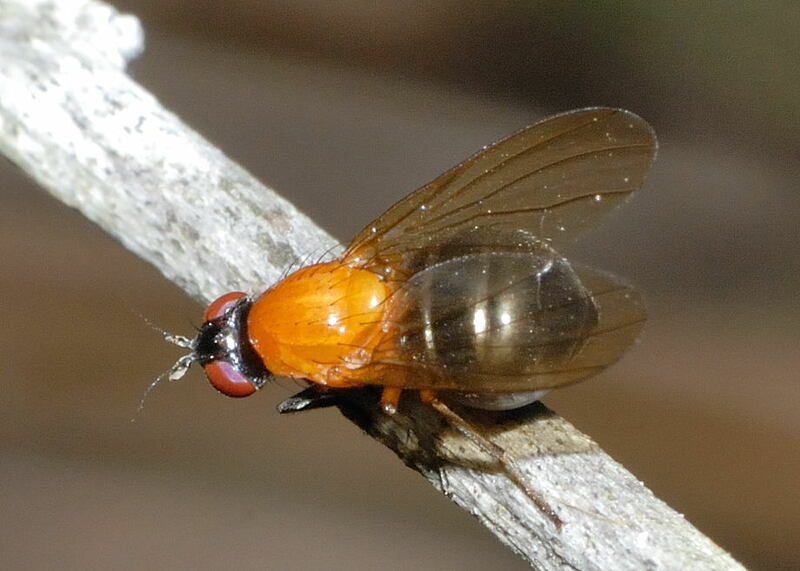 On Oct 2012, we found a large group of them resting on a small area on Anstead Forest on a dre creek bed. 2. 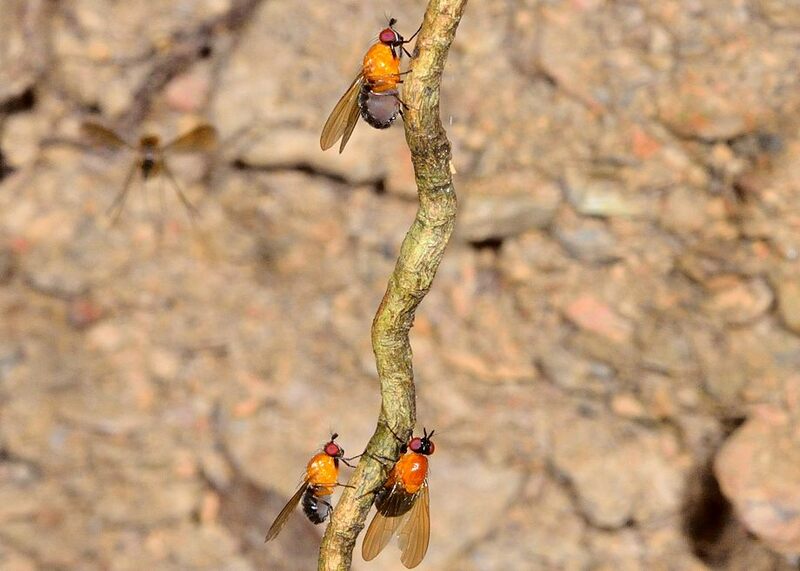 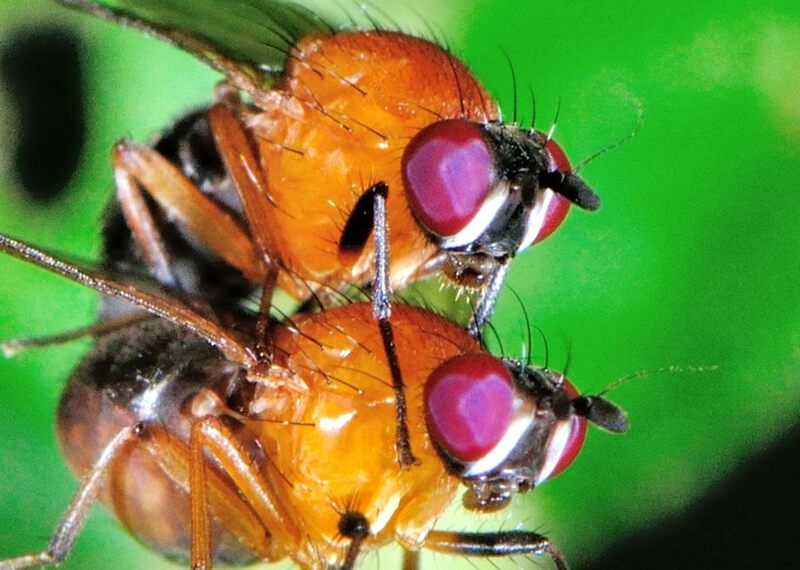 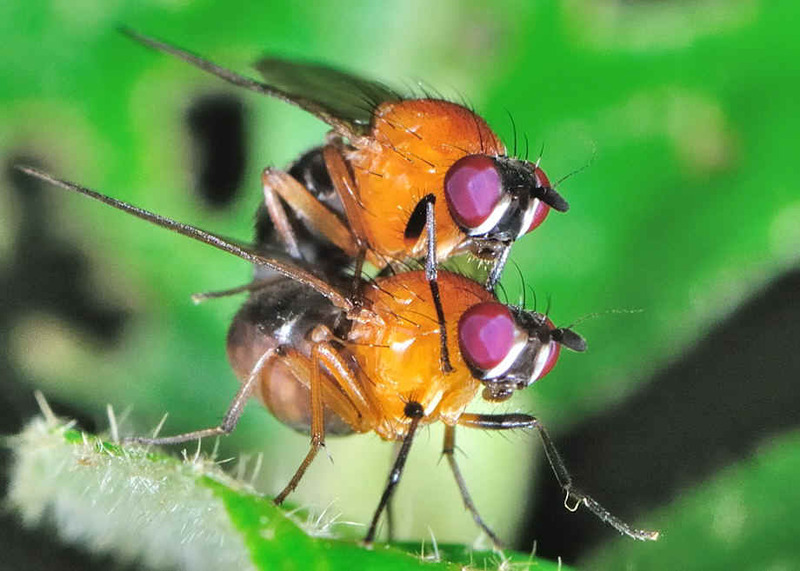 Flies - family Drosophilidae - lifeunseen.com by Nick Monaghan. 3. Lauxaniidae (Lauxaniid Flies) - Save Our Waterways Now, 2008.